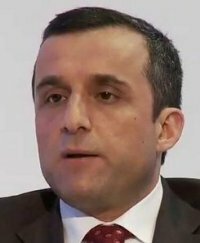 Tolo News: The former NDS Chief, Amrullah Saleh, wrote on his facebook page that Afghanistan’s consulate in the United Arab Emirates (UAE) has issued the passports after being pressurized by Kabul to do so. He said passports are issued to family members of Taliban members, who are currently engaged in a war against government. Click here to read more (external link).